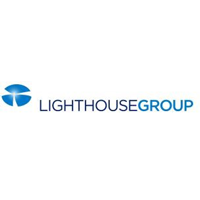 The trading price for Lighthouse Group plc found using EPIC: LON:LGT has climbed 3.52% or 0.9 points during today’s session so far. Investors are a positive bunch throughout the session. The period high was 26.52 dipping to 25.65. The total volume traded so far comes to 74,278 with the average number of shares traded daily being 110,806. The stock 52 week high is 41 around 15.4 points difference from the previous close and the 52 week low at 20.26 a difference of some 5.34 points. Lighthouse Group plc has a 20 day moving average of 26.66 and a 50 day moving average now of 25.15. This puts the market cap at £33.84m at the time of this report. The stock is traded in GBX. Mcap is measured in GBP. This article was written with the last trade for Lighthouse Group plc being recorded at Monday, February 18, 2019 at 9:41:39 AM GMT with the stock price trading at 26.5 GBX. The share price for Mediclinic International PLC ticker lookup code: LON:MDC has gained 1.5% or 4.7 points throughout today’s trading session so far. Buyers have remained optimistic during the session. The periods high has reached 318.8 dropping as low as 310.6. The total volume of shares exchanged so far has reached 172,303 whilst the daily average number of shares exchanged is just 1,122,803. The 52 week high for the share price is 712.4 equating to 398.8 points different to the previous business close and a 52 week low sitting at 293.1 a difference of some 20.5 points. Mediclinic International PLC now has a 20 SMA of 320.22 with a 50 day moving average at 325.42. The market cap now stands at £2,348.86m at the time of this report. The share price is in GBX. Mcap is measured in GBP. This article was written with the last trade for Mediclinic International PLC being recorded at Monday, February 18, 2019 at 12:03:30 PM GMT with the stock price trading at 318.3 GBX. The stock price for Micro Focus International plc ticker lookup code: LON:MCRO has moved up 3.81% or 64 points during today’s session so far. Investors have remained positive during this period. The periods high has reached 1746 and a low of 1672. Volume total for shares traded during this period was 734,977 with the daily average traded share volume around 1,339,001. The 52 week high is 2127 about 447 points difference from the previous close and the 52 week low at 782.2 which is a variance of 897.8 points. Micro Focus International plc now has a 20 SMA at 1540.5 and now a 50 day moving average at 1489.11. The market capitalisation is now £7,225.53m at the time of this report. The stock is traded in GBX. Mcap is measured in GBP. This article was written with the last trade for Micro Focus International plc being recorded at Monday, February 18, 2019 at 12:03:21 PM GMT with the stock price trading at 1744 GBX. The trading price for NEXT plc with company EPIC: LON:NXT has risen 1.84% or 87 points in today’s trading session so far. Buyers have stayed positive throughout the session. The high for the period has reached 4817 while the low for the session was 4703. The total volume of shares exchanged through this period comes to 65,599 with the daily average number around 630,940. A 52 week share price high is 6224 which comes in at 1500 points difference from the previous days close and the 52 week low at 3970 which is a variance of 754 points. NEXT plc now has a 20 moving average of 4895.6 and now the 50 day moving average now of 4668.49. This puts the market capitalisation now at £6,619.09m at the time of this report. The share price is in GBX. Mcap is measured in GBP. This article was written with the last trade for NEXT plc being recorded at Monday, February 18, 2019 at 12:03:33 PM GMT with the stock price trading at 4811 GBX. Shares of Reckitt Benckiser Group Plc found using EPIC: LON:RB has increased 5% or 301 points during today’s session so far. Traders have remained positive during the trading session. The periods high figure was 6499 and hitting a low of 6080. Volume total for shares traded during this period was 899,827 with the daily average number around 1,576,983. The 52 week high for the shares is 7174 equating to 1157 points difference from the previous close and the 52 week low at 4973.42 is a variance of 1043.58 points. Reckitt Benckiser Group Plc now has a 20 SMA of 5947.8 and now its 50 day moving average now of 6084.09. Market capitalisation is now £44,701.47m at the time of this report. The share price is in GBX. Mcap is measured in GBP. This article was written with the last trade for Reckitt Benckiser Group Plc being recorded at Monday, February 18, 2019 at 12:03:36 PM GMT with the stock price trading at 6318 GBX. The stock price for Royal Bank of Scotland Group plc with EPIC code: LON:RBS has risen 1.66% or 4.1 points in today’s trading session so far. Investors have stayed positive throughout the session. The high for the period has reached 253.2 and hitting a low of 248.22. The total volume of shares exchanged so far has reached 5,087,659 while the average shares exchanged is 16,644,658. A 52 week share price high is 297.4 which comes in at 49.9 points difference from the previous close and the 52 week low at 200.1 is a variance of 47.4 points. Royal Bank of Scotland Group plc now has a 20 moving average of 244.25 and now a 50 day simple moving average now of 230.46. The current market cap is £30,314.45m at the time of this report. The stock is traded in GBX. Mcap is measured in GBP. This article was written with the last trade for Royal Bank of Scotland Group plc being recorded at Monday, February 18, 2019 at 12:03:32 PM GMT with the stock price trading at 251.6 GBX. Click LGT MCRO MDC NXT RB RBS for the full archive.